This handy set features a magnetic screw lock sleeve and a quick-release, premium screw holder for use with both 1 in. and 2 in. bits. These tools are designed for tough jobs. 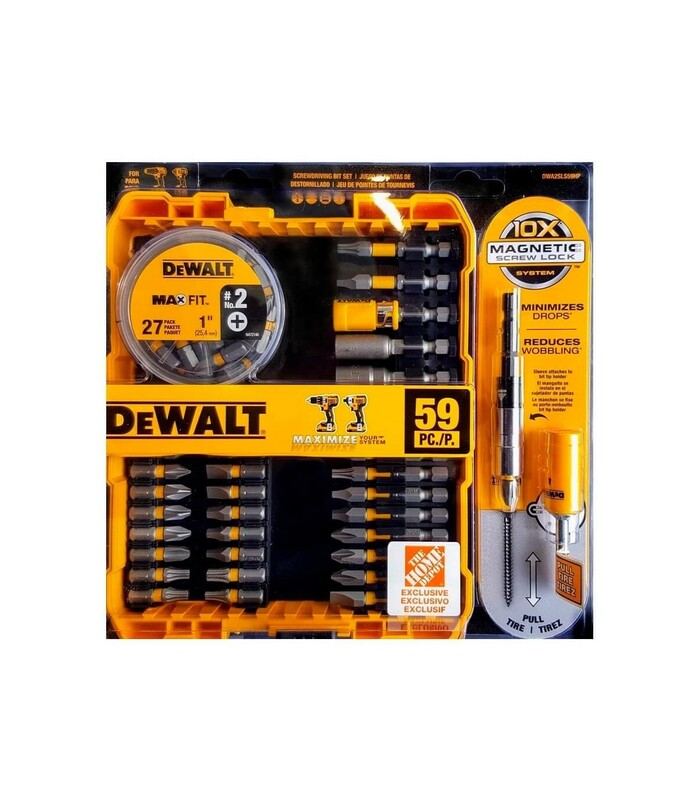 This set comes with an assortment of various bit tips and sizes commonly used on the job site. Magnetic Screw Lock System holders feature a floating ring magnet for fastener retention.